Archaeological investigations were carried out in advance of the construction of a water pipeline in Gloucestershire. Following desk-based assessment, geophysical survey and trial trenching of the 8.8 km route, three sites between Churchdown and Coombehill in the southern half of the route were identified for detailed excavation. These three areas were investigated by Wessex Archaeology between April and July 2012. The work was carried out for Morgan Sindall Plc on behalf of Severn Trent Water. 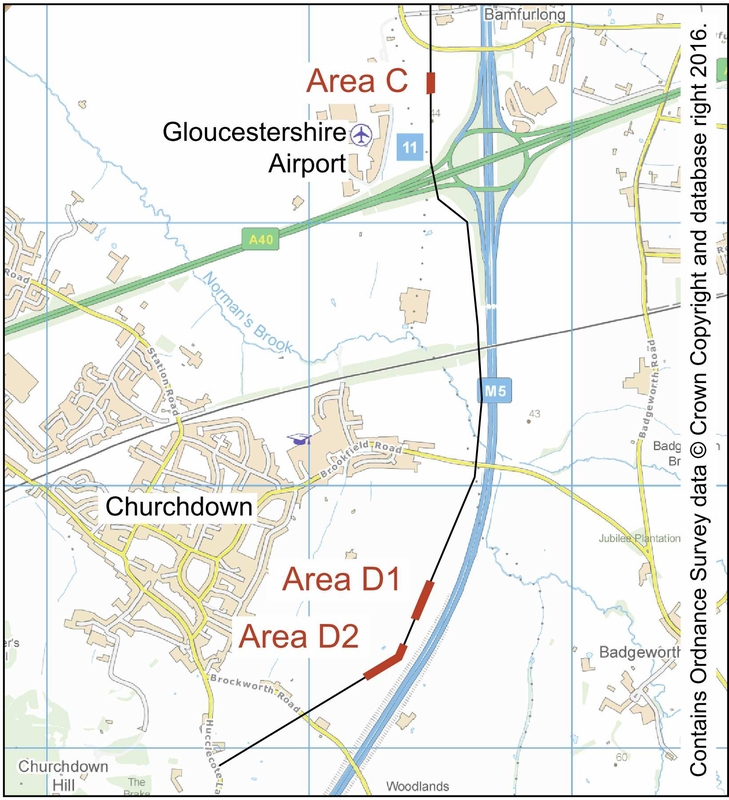 Area C was located between Gloucestershire Airport at Staverton and the M5 near junction 11 (Ordnance Survey (OS) National Grid reference 389400, 221500). This area contained the remains of part of a Middle Iron Age enclosure and a series of Romano-British (mid-2nd century AD) ditches. In each phase of activity dating was provided by pottery finds. Area D1 lay 2 km south of Area C, to the west of the M5 and south of Brookfield Road in Churchdown (OS National Grid reference 389400, 219500). This area also contained evidence of activity in the Iron Age and Romano-British periods. The earliest feature was a curved ditch – probably part of a 10 m diameter roundhouse – which was dated to the Early to Middle Iron Age by pottery and may have been broadly contemporary with the enclosure in Area C.
Area D1 was settled again in the 1st century AD, initially with a ditched enclosure which was replaced in the 2nd century by a farm building constructed on stone foundations. After the abandonment of the building, the final phase of activity, in the 3rd/4th century, comprised field ditches with no structural evidence for occupation. Limited pottery finds provided the dating evidence. Area D2 lay just 70 m south of Area D1 in Churchdown (OS National Grid reference 389300, 219300). This area also contained Early to Middle Iron Age activity in the form of pits and postholes but no clear structures were identified. This was the only excavated area to contain Late Iron Age settlement features including two roundhouses (with diameters of 9 m and 10 m) and a disturbed human burial. Dating evidence was provided by 1st-century AD pottery and two radiocarbon dates. Modelling of these dates shows that one of the roundhouses was probably occupied in the 1st century BC and very likely prior to the Roman Conquest. After the occupation of the roundhouses, sometime in the 1st or 2nd centuries AD, the evidence for settlement in Area D2 ceased and it was used solely for agriculture, as represented by field and enclosure ditches. The evidence for Middle Iron Age activity was sparse but was present at all three sites. By the later Iron Age there was a settlement on the low-lying land at the base of the hillfort on Churchdown Hill. After the Roman Conquest the roundhouses were replaced by a rectangular structure on stone foundations, probably a farmstead rather than a villa, and the surrounding fields and enclosures were modified for agricultural use. Occupation and domestic activity seems to have ceased at the end of the 2nd century, possibly the settlement moved to outside the excavated areas, or perhaps further afield to access better transport links such as rivers or roads as the area became increasingly Romanised. Hucclecote villa lies less than 2 km to the south of Churchdown Hill and the demise of the native settlement may be linked to changes to the villa estate. 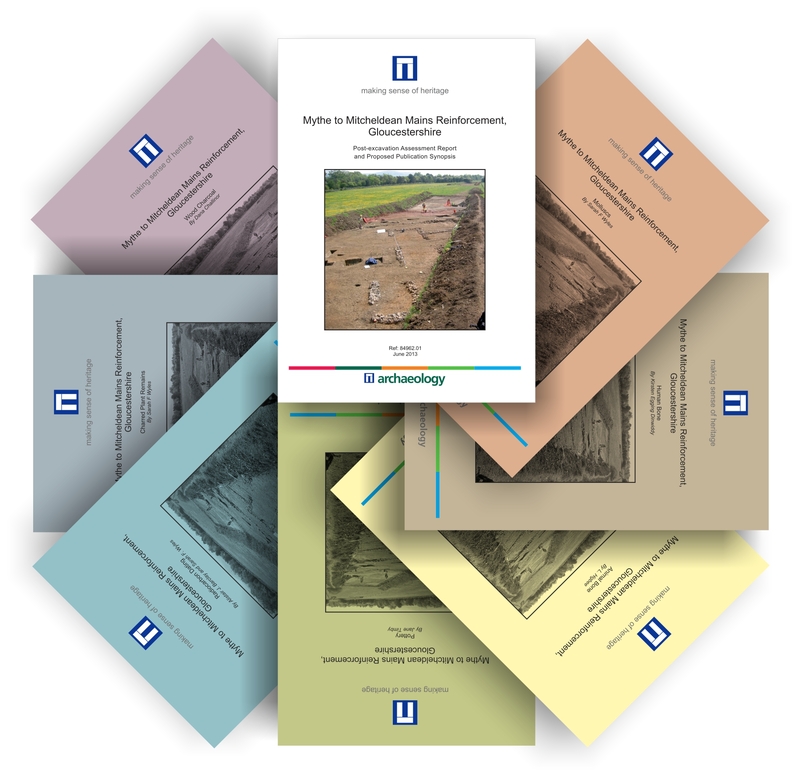 A detailed and illustrated account of the results has been submitted to the Transactions of the Bristol and Gloucestershire Archaeology Society for publication. Specialist technical reports of the finds and environmental evidence can be downloaded by clicking the links below. The Wessex Archaeology project number for these excavations is 84960-3. The site archive will be deposited with the Gloucester City Museum under accession number GLRCM:2012.11.